Katie is a former dancer whose fitness career began in graduate school teaching aerobics and muscle conditioning classes. She has a Masters degree in Counseling Psychology but has always pursued fitness both for herself and to teach professionally. 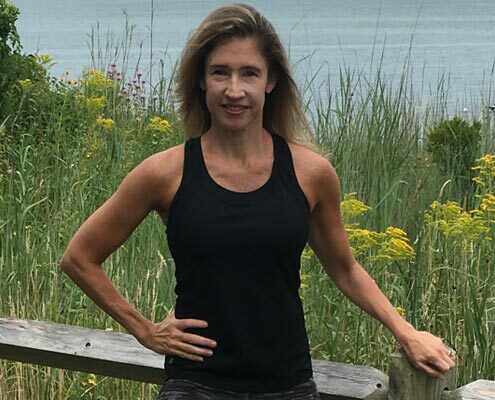 Her certifications include mat and advanced mat Pilates from Power Pilates, Barsculpt and Barfusion as well as Exhale’s core fusion teacher training. alignment and core stabilization at all times. She strives to make her class fluid, fresh and fun.